Bozóki A, Ádám Z. The God of Hungarians: Religion and Right-wing Populism in Hungary. In: Saving the People: How Populists Hijack Religion. New York: Oxford University Press; 2016. p. 129-47. Bozóki A, Ádám Z. State and Faith: Right-wing Populism and Nationalized Religion in Hungary. Intersections: East-European Journal of Society and Politics. 2016;2(1):98-122. Bozóki A. Liberális autokrácia? Élet és Irodalom. 2016. Bozóki A. Magyarország félúton van a demokrácia és a diktatúra között. www.nol.hu. 2016. Bozóki A. A Párttól a Családig: hatalmi rendszerek és befolyási modellek. In: Magyar polip 3. A posztkommunista maffiaállam. Budapest: Noran Libro; 2015. p. 223-59. Bozóki A. The Illusion of Inclusion: Configurations of Populism in Hungary. In: Thinking Through Transition. Budapest/New York: CEU Press; 2015. p. 275-312. Bozóki A. The Politics of Worst Practices: Hungary in the 2010s. Dossier. 2015;(2). Bozóki A. Hatalmi rendszerek és befolyási modellek. Mozgó Világ. 2015;41.(11):3-20. Bozóki A. A politikai befolyás körei Magyarországon. Mozgó Világ. 2015;42.(12):21-39. Bozóki A, Szilágyi A. Playing It Again in Post-Communism: The Revolutionary Rhetoric of Viktor Orbán in Hungary. Advances in the History of Rhetoric. 2015;18(1):153-66. Bozóki A. Zöld utak. In: Petőcz G, editor. Béke sose volt. Budapest: Aura; 2014. p. 205-34. Bozóki A. Free and Unfair: The Hungarian Elections. Transit Online. 2014. Bozóki A. Új kulturális politika: részvétel, sokszínűség és demokrácia. Mozgó Világ. 2014;40(2-3):24-31. Bozóki A. Hungary’s U-Turn. http://www.johnfeffer.com/hungarys-u-turn. 2014. Bozóki A. Elitizmus és populizmus, a két jóbarát. Korkut U, editor. Politikatudományi Szemle; 2014. Bozóki A. Átlépett árnyék. Vol 18 Dec. Magyar Narancs; 2014. Bozóki A. Access to Electoral Rights: Hungary. EUDO Citizenship Observatory. 2013:1-12. Bozóki A. Családi tűzfészek: A kultúra a szimbolikus politika fogságában. Mozgó Világ. 2013;39(10):3-22. Bozóki A. Dictators and Rebellious Civilians. Perspectives on Politics. 2013;11(3. ):841-51. Bozóki A, Bajomi-Lázár P, Gáspár M, Inkei P, Karsai G, Marsovszky M, et al. A kulturális szféra helyzete Magyarországon. Beszélő. 2013;July. Bozóki A. Diktátorok és lázadó civilek. Politikatudományi Szemle. 2013;22(1):131-46. Bozóki A. Populism as Elite Discourse in Hungary. In: Political Elites in Old and New Democracies. Kaliningrad: Emmanuel Kant Baltic Federal University Press; 2012. p. 345-58. Bozóki A. The Hungarian Electoral System.. 2012. Bozóki A. The Transition from Liberal Democracy: The Political Crisis in Hungary. Mediations . 2012;26. (Summer)(1): 1-23. Bozóki A. Chances of Cultural Renewal in Hungary. Visegrad Insight . 2012;(2):76-81. Bozóki A. Szemérmes alkotmányozás. Rendszerváltás és jogállami forradalom 1989-ben. In: Alkotmányozás Magyarországon és máshol. Budapest: MTA; 2011. Bozóki A. Ideas for Institution-Building in Hungary: The Roundtable Talks of 1989.. In: Conference on Parliamentarism in Prague, April 7-9. 2011.; 2011. Bozóki A. An Anatomy of a Political Decision.. 2011. Bozóki A. Die autoritäre Versuchung: Die Krise der ungarischen Demokratie. Osteuropa. 2011;Voll.. 61.. (No. 12.. December ): 65-88. Bozóki A. Kockázatok és mellékhatások.. 2011. Jegyzetek a szabadságról. Ignotus Pál írásai [Notes on Freedom. The Writings of Paul Ignotus]. Bozóki A, editor. Budapest: Gondolat; 2010. Bozóki A, Simon E. Hungary since 1989. In: Ramet SR, editor. Central and southeast European politics since 1989. Cambridge: Cambridge University Press; 2010. p. 204-32. Bozóki A. A Fidesz radikális, liberális, alternatív szervezet [Fidesz as Radical, Liberal, and Alternative Organization]. In: Bába I, editor. Felgyorsult történelem. [Accelerated History]. Budapest: Demokratikus Átalakulásért Intézet; 2010. p. 357-69. Bozóki A, Szalai E. A politikai tőke. ; 2010. Bozóki A, Sata R, Selmeczi A, Huszka B. Diversity and the European Public Sphere: The Case of Hungary. Bergen: Eurosphere; 2010. Bozóki A. The deficit of legitimacy : theorizing East Central European communism. In: Frank R, editor. Driving forces of socialist transformation : North Korea and the experience of Europe and East Asia. Wien: Praesens; 2009. p. 113-39. Bozóki A. A stabilitás illúziója a válságot stabilizálja. In: Hankiss E, Heltai P, editors. Münchhausen báró kerestetik : mit kezdjünk a nagy magyar válsággal? Vol 3. Budapest: Médiavilág Kft. ; 2009. p. 50-61. (Új reformkor sorozat; vol 3). Bozóki A. Anarchism, Hungary. In: Ness I, editor. The international encyclopedia of revolution and protest : 1500 to the present. Malden, MA: Blackwell; 2009. p. 127-9. Bozóki A. An Interview with András Bozóki. In: Wasilewska O, editor. Europe Divided: Then and Now. 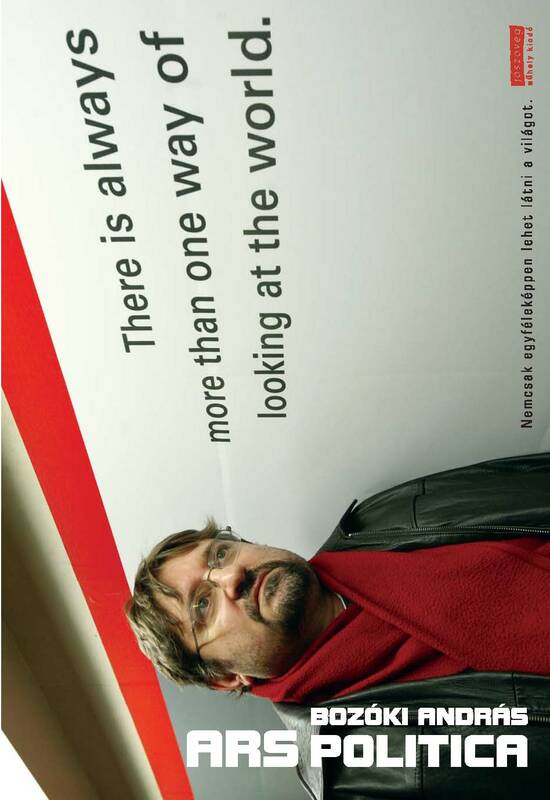 Warsaw: Stefan Batory Foundation; 2009. p. 10-3. Bozóki A. Batthyány, Ervin. In: Ness I, editor. International Encyclopedia of Revolution and Protest. Oxford: Blackwell; 2009. Bozóki A. 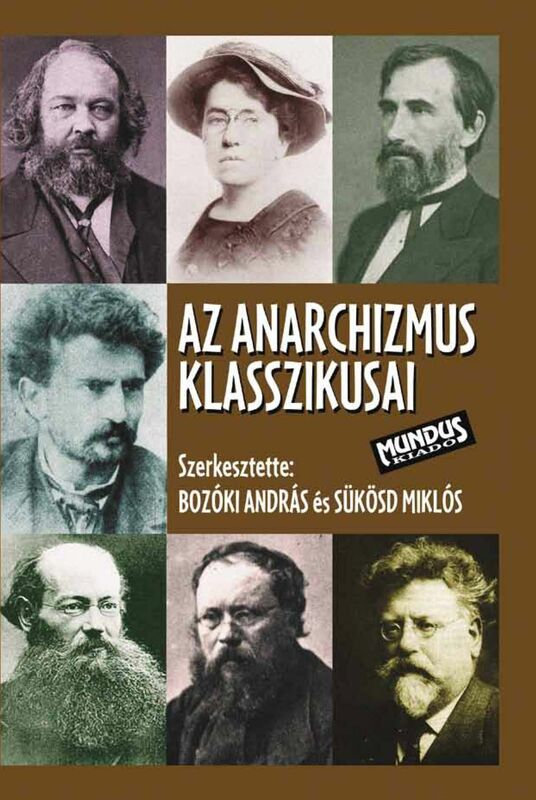 Preparing for the Revolution: Hungarian Dissident Intellectuals Before 1989. 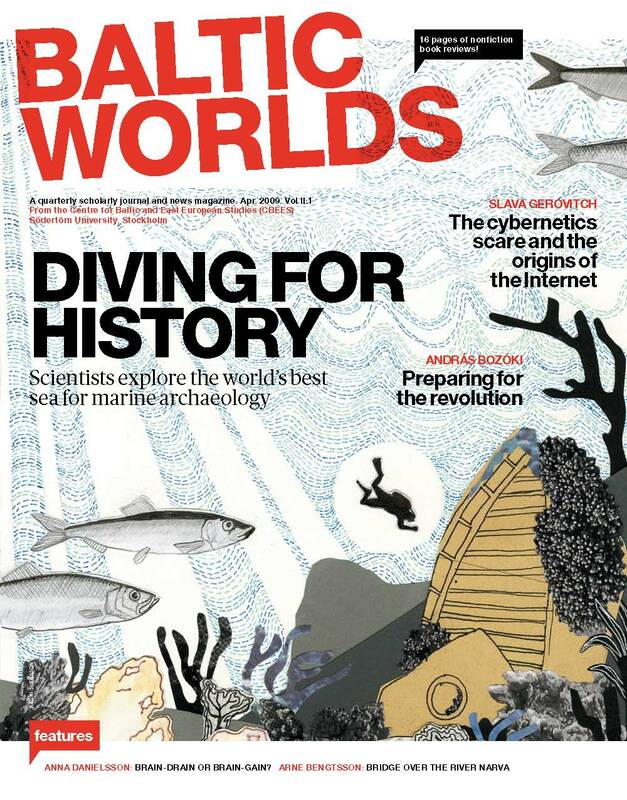 Baltic Worlds. 2009;2(1):41-6. Bozóki A. Problems of Legitimacy, Public Sphere, and Political Integration: Theorizing East Central European Communism. Eurosphere; 2009. Bozóki A. Problems of Legitimacy, Public Sphere and Political Integration: Theorizing East Central European Communism. Vol 14.; 2009. Bozóki A. Kultúra és esélyegyenlőség. In: Csefkó F, Horváth C, editors. A demokrácia deficitje avagy A deficites hatalomgyakorlás. Pécs: PTE ÁJK; 2008. p. 436-48. Conference proceedings. Pécs, October 2007. Bozóki A. Bajkatalógus. Beszélő. 2008;13(9):4. Bozóki A. Consolidation or Second Revolution? : The Emergence of the New Right in Hungary. Journal of Communist Studies and Transition Politics. 2008;24(2):191-231. The political turn of 1998 in post-transition Hungary marked the beginning of a new era: the rise of the New Right. Fidesz, which used to be a liberal party during the regime change of 1989, later changed its political stance. Under the presidency of Viktor Orban, Fidesz became a centre-right party by adopting a mixed ideology that contained contradictory elements. The reason for Fidesz's electoral success in 1998 was that it responded to the social need for order and democratic consolidation after the turbulent years of political and economic transformation. However, the years when Fidesz governed Hungary (1998-2002) could be characterized by both conservative consolidation and populist mass mobilization. Voters could not fully understand why the rhetoric of 'second revolution' would lead to the consolidation of democracy. This sort of contradictory agenda-setting from above alienated the majority of voters in the 2002 elections so Fidesz was replaced by the returning MSZP-SZDSZ left-liberal coalition government. Despite two electoral losses (2002 and 2006), Fidesz created a second political culture, an alternative polity that established itself as the Hungarian version of the New Right, a mixture of populism, conservatism, and plebeian, redistributionist, economic nationalism. The emergence of the Hungarian New Right reinterpreted social conflicts, and sharpened political division in the society. Adapted from the source document. Democratization in Central Europe is a success story in historical perspective. Twenty years after the spectacular collapse of communism, most countries, which had belonged to the “buffer zone” between West Germany and the Soviet Union, now belong to the European Union. The transition was relatively short and was characterized by negotiations, self-limiting behavior, and nonviolence of the participants (with the exception of the Romanian revolution). The ideas of 1989 included negative freedom, free market liberalism, consensual democracy, civil society, and the wish to return to Europe, determined by the social, political, and economic legacies of communism. The short transition was followed by a longer and more difficult consolidation, which was parallel with economic restructuring, privatization, and deregulation. The pain of economic transformation was socially accepted as an “inevitable” part of the process. Social peace could therefore be based on the patience of these societies as well as on the hope to enter NATO and the European Union. In a way, it was an externally driven consolidation. In 2004, most of the Central European countries joined the European Union, which caused a landslide political change in their internal politics. While countries of Central Europe are now inside the EU, which caused some parallel changes in the leadership, the end of post-communism did not seem to bring fundamentally more innovative political elites into the leadership of these societies. Bozóki A. Consolidation or Second Revolution? The Emergence of the New Right in Hungary. Journal of Communist Studies and Transition Politics. 2008;24(2):191-231. The political turn of 1998 in post-transition Hungary marked the beginning of a new era: the rise of the New Right. Fidesz, which used to be a liberal party during the regime change of 1989, later changed its political stance. Under the presidency of Viktor Orba´n, Fidesz became a centre-right party by adopting a mixed ideology that contained contradictory elements. The reason for Fidesz’s electoral success in 1998 was that it responded to the social need for order and democratic consolidation after the turbulent years of political and economic transformation. However, the years when Fidesz governed Hungary (1998–2002) could be characterized by both conservative consolidation and populist mass mobilization. Voters could not fully understand why the rhetoric of ‘second revolution’ would lead to the consolidation of democracy. This sort of contradictory agenda-setting from above alienated the majority of voters in the 2002 elections so Fidesz was replaced by the returning MSZP–SZDSZ left-liberal coalition government. Despite two electoral losses (2002 and 2006), Fidesz created a second political culture, an alternative polity that established itself as the Hungarian version of the New Right, a mixture of populism, conservatism, and plebeian, redistributionist, economic nationalism. The emergence of the Hungarian New Right reinterpreted social conflicts, and sharpened political division in the society. Bozóki A. Ars politica. Budapest: Jószöveg Műhely; 2007. Bozóki A. Háború és béke. In: Gábor G, editor. A párizsi toronyőr : Kende Péter 80. születésnapjára. Budapest: Pallas; 2007. p. 113-25. Bozóki A. Die Politik der Opposition im Ungarn der 1980er Jahre. In: Buzogány Á, Frankenberger R, editors. Osteuropa : Politik, Wirtschaft und Gesellschaft. Vol 2. Baden-Baden: Nomos; 2007. p. 261-75. (Weltregionen im Wandel; vol 2). Bozóki A. Hogyan reformáljunk? : Tipikus politikai dilemmák. 2000. 2007;19(3):3-12. How to Reform? : Typical Political Dilemmas 2000, March 2007. 3-12. Bozóki A, Simon E. Formal Institutions and Informal Practices in Hungary. In: Meyer G, editor. Formal Institutions and Informal Politics in Central and Eastern Europe : Hungary, Poland, Russia, and Ukraine. Opladen: Barbara Budrich Publishers; 2006. p. 145-94. Bozóki A. For a European Cultural Renewal. Europäische Rundschau. 2006;34:79-84. Bozóki A. The culture of freedom : cultural policy for Hungary in the 21st century. Budapest: Ministry of Cultural Heritage; 2005. Bozóki A. The Image of Europe : The European Integration and the New Central Europe. In: Ortino S, Mastny M, Zagar M, editors. Changing Faces of Federalism : Political Reconfiguration of Europe from East to West. Manchester: Manchester University Press; 2005. p. 85-106. (Europe in change). Bozóki A. Erotikus? Katolikus? Politikus? Beszélő. 2005;10(12). Bozóki A. The end of post-communism. Central European Political Science Review. 2005;6(21-22):34-6. Bozóki A. Amit tesznek, valóban több, mint szakma: hivatás. Könyv, könyvtár, könyvtáros. 2005;14(8):5-6. Bozóki A. Consolidation or Second Revolution? : The Politics of the New Right in Hungary. Slovak Foreign Policy Affairs. 2005;4(1):17-28. Bozóki A. L'avenir de la démocratie en Europe : Etat des lieux et propositions de réforme. Schmitter PC, Trechsel AH, editors. Strasbourg: Conseil de l'Europe; 2004. Bozóki A. The future of democracy in Europe : trends, analyses and reforms. Schmitter PC, Trechsel AH, editors. Strasbourg: Council of Europe Publishing; 2004. Bozóki A, Bősze B, of migratrion and ethnic relations centre for development studies UB. Glocalmig series. Vol 6. Bergen: BRIC; 2004. Bozóki A. Az Európai Unió és Magyarország : a passzívan támogatott csatlakozás. In: Bayer J, editor. Az uniós csatlakozás küszöbén : a Magyar politikatudományi társaság 2003. május 30-ai vándorgyűlésének előadásai. Budapest: Magyar Politikatudományi Társaság; 2004. p. 9-21. Bozóki A. Két pályaív. In: Merényi M, editor. Gyurcsány a magyar sajtó tükrében. Budapest: Ringier; 2004. p. 206-14. Bozóki A, Karácsony G. Hongrie, Étre dans l’Europe sans en etre. In: Rupnik J, editor. Les Européens face à l'élargissement : perceptions, acteurs, enjeux. Paris: Presses de Sciences; 2004. p. 199-223. (Collection académique). Bozóki A. Mitgliedschaft ohne Zugehörigkeit? Aus Politik und Zeitgeschichte. 2004;(5-6). Bozóki A. Lernprocess in Ungarn. Europäische Rundschau. 2004;32(3):43-52. Bozóki A. Madarsko na Ceste do Únie : Pasívna Podpora pre Historicky Krok. Listy SFPA. 2004;8:13-6. Bozóki A. Az európai csatlakozás dilemmái. Mozgó világ. 2004;30(5):3-10. Bozóki A. Új versengés. Mozgó világ. 2004;30(3):3-10. Bozóki A. Az alkotmányos forradalom éve : 1989. Rubicon. 2004;15(5-6):57-63. Bozóki A. Politikai pluralizmus Magyarországon, 1987-2002. Budapest: Századvég; 2003. Bozóki A. Politikai polgárosodás és elitváltó redikalizmus : a Fidesz-MPP vezette kormány. In: Pesti S, Szabó M, editors. "Jöjj el szabadság!" : Bihari Mihály egyetemi tanár 60. születésnapjára készült ünneplő kötet. Vol 14. Budapest: Rejtjel; 2003. p. 345-79. (Rejtjel politológia könyvek; vol 14). Bozóki A. 1989 : az alkotmányos forradalom éve. In: Varga T, editor. A rendszerváltozás dokumentumfilmjei. Budapest: Magyar Dokumentumfilmrendezők Egyesülete; 2003. p. 7-33. Bozóki A. Theoretical Interpretations of Elite Change in East Central Europe. In: Dogan M, editor. Elite Configurations at the Apex of Power. Vol 85. Leiden: Brill; 2003. p. 215-48. (International Studies in Sociology and Social Anthropology; vol 85). Bozóki A. Az elitváltás elméleti értelmezései : kelet-közép-európai megközelítések. In: Bárdi N, Fedinec C, editors. Etnopolitika : A közösségi, magán- és nemzetközi érdekek viszonyrendszere Közép-Európában. 4th ed. Budapest: Teleki László Alapítvány; 2003. p. 9-42. Bozóki A. Politikai ideológiák. In: Gallai S, Török G, editors. Politika és politikatudomány. Budapest: Aula Kiadó; 2003. p. 97-145. Bozóki A. Theoretical Interpretations of Elite Change in East Central Europe. Comparative Sociology. 2003;2(1):215-47. Elite theory enjoyed a remarkable revival in Central & Eastern Europe, & also in international social science research, during the 1990s. Many researchers coming from different schools of thought turned to the analysis of rapid political & social changes & ended up doing centered research. Since democratic transition & elite transformation seemed to be parallel processes, it was understandable that sociologists & political scientists of the region started to use elite theory. The idea of "third wave" of democratization advanced a reduced, more synthetic, "exportable" understanding of democracy in the political science literature. The main focus of social sciences shifted from structures to actors, from path dependency to institutional choices. Transitions, roundtable negotiations, institution-building, constitution-making, compromise-seeking, pact-making, pact-breaking, strategic choices -- all of these underlined the importance of elites & research on them. Elite settlements were seen as alternatives of social revolution. According to a widely shared view, democratic institutions came into existence through negotiations & compromises among political elites calculating their own interests & desires. The elite settlement approach was then followed by some important contributions in transitology which described the process of regime change largely as "elite games." By offering a systematic overview of the theoretical interpretations of elite change from New Class theory to recent theorizing of elite change (conversion of capital, reproduction, circulation, political capitalism, technocratic continuity, three elites & the like), the paper also gives an account of the state of the arts in elite studies in different new democracies of Central & Eastern Europe. 4 Tables, 2 Figures, 188 References. Adapted from the source document. Bozóki A. Politikai pluralizmus Magyarországon, 1987-2002. Köz-politika. 2003;4(6):67. Bozóki A. Az MSZP második visszatérése és a rendszerváltás értelmezései. Magyarország politikai évkönyve. 2003;16:1146-58. Bozóki A. A rendszerváltás tartalma és a demokrácia feladatai. Mozgó Világ. 2003;29(1):40-7. Bozóki A, Kriza B. Party-System and Public Discourse: The Hungarian Semi-Loyal Parties. Naukovi Zapiski. 2003;(21):18-26. The article provides an analysis of semi-loyal par ties based on the discussion of Hungarian politics. The following issue is being addressed: What is the situation with those semi-loyal parties that appear to be fully participating in democracy? It is argued, that despite being marginalized politically, semiloyal parties might exercise a significant influence over public discourse. Bozóki A. Az elitváltás elméleti értelmezései : kelet-közép-európai megközelítések. Politikatudományi Szemle. 2003;12(3):5-40. Elite theory enjoyed a remarkable revival in East Central Europe. Many researchers coming from different schools of thought – Marxist class analysis,Weberian sociology, functionalist social stratification research, New Class theory, and the like – turned to the analysis of rapid political and social changes and ended up doing elite centered research. One of the most important characteristics of contemporary elite research is the focus on elite transformation because nowadays elite research is primarily about change. The study investigates some major paradigms in elite theory (Daniel Bell, Kevin Phillips, Alvin Gouldner, Konrád and Szelényi, Irvin Kristol) and discusses contemporary general statements in detail (Burton and Higley, Iván Szelényi, Higley and Lengyel, Higley and Pakulski). Finally, it offers a wide overview on recent explanations which proved to be relevant in understanding elite change in East Central Europe. Those theories include the ideas of 1. ’Grand Coalition’ (Elemér Hankiss), 2. political capitalism (Jadwiga Staniszkis), 3. elite network state (Anton Steen), 4. technocratic continuity (Erzsébet Szalai), 5. institution-building elites (Kaminski and Kurczewska), and finally 6.the proposition of ’three elites’ (Jacek Wasilewski). It predicts that, as reflection to the caracteristics of the period of democratic consolidation, comprehensive elite research will combine formal, positional analysis and informal, elite network approach as well. Bozóki A. Success Stories : Lessons of Democratization in Central Europe. Regio : Minorities, Politics, Society – English Edition. 2003;14(1):3-37. The article analyzes the meaning and modes of these revolutionary changes of 1989 by focusing on the nature of the roundtable talks and their impact on the subsequent democratic regime.The fact that countries of Central Europe became new democracies is not attributable to a single factor only. There are numerous internal and external causes that brought about the collapse of the old regime in this particular way, in this particular time. As far as the internal causes are concerned, one must stress 1. the impact of previous revolutions and reform attempts, 2. the diminishing performance of the economy, 3. the exhaustion of the social reserves of the regime, 4. the disintegration of the ideology, and 5. the willingness to compromise on the part of the new and the old elite. Among the most important external factors, one must number 1. the defeat in the Cold War, 2. the crippling consequences of the arms race, 3. the social and ethnic conflicts that made the Eastern Bloc bursting at the seams, 4. the coordinated, evolutionist strategies of the democratic opposition in a number of these countries, 5. the corresponding, human rights-based foreign policies of the Western countries initiated buys President Carter in the 1970s, and finally, 6. the rise to the top of the Soviet party hierarchy of First Secretary Gorbachev who introduced a style of politics open to compromise. Bozóki A, Karácsony G. Membership Without Belonging? : Hungary into the European Union : A Historic Step Passively Approved. Central European Political Science Review. 2003;4(13):21-41. Bozóki A. Book review : Central European Ways to Democracy : Studies in Public Policy. Glasgow: University of Strathclyde; 2003. Poland, the Czech Republic, Slovakia, Hungary and Slovenia are by most international standards liberal democracies. But these democracies still are relatively poor compared to West European countries. By examining the success of democratization in unfavourable economic conditions the legacy of the transition process as well as the legacies of pre-communist and communist regimes are shown. The Central European pattern of transition can be summarized by two ideas: non-violence and negotiation. The transition socialized political and social actors to value peace and self-limited political behavior: both experiences proved useful in later stages of democratization too. Among pre-communist legacies institution-building has been emphasized in the revolutionary tradition. People learned that breaking with the past through rebellion was not enough; short term victories can easily be turned to defeats. Only building a new institutional order can guarantee the longer term success of revolutionary change. Among many negative ones, the few positive legacies of communism -- social mobilization, industrialization, high literacy rate, urbanization, and a curious form of female emancipation -- created some favorable social requisites for democratic political change. Bozóki A. Central European ways to democracy. Glasgow: Centre for the Study of Public Policy (University of Strathclyde); 2003. Bozóki A. Book review : Vitatkozó diktatúra. ; 2003. This article reviews the book of Ervin Csizmadia: Diskurzus és diktatúra. 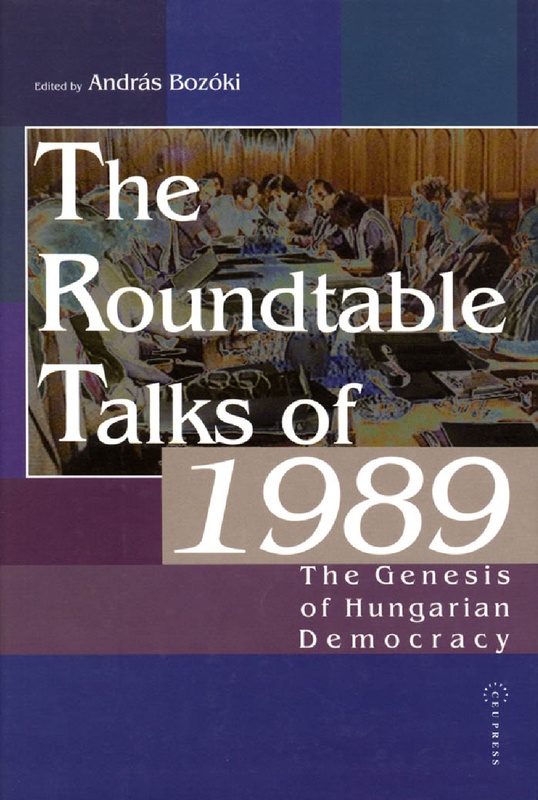 The roundtable talks of 1989 : the genesis of Hungarian democracy : analysis and documents. Bozóki A, editor. Budapest: CEU Press; 2002. The communist successor parties of Central and Eastern Europe. Bozóki A, Ishiyama JT, editors. Armonk: M. E. Sharpe; 2002. Bozóki A. The Hungarian Socialists : Technocratic Modernizationism or New Social Democracy? In: Bozóki A, Ishiyama JT, editors. 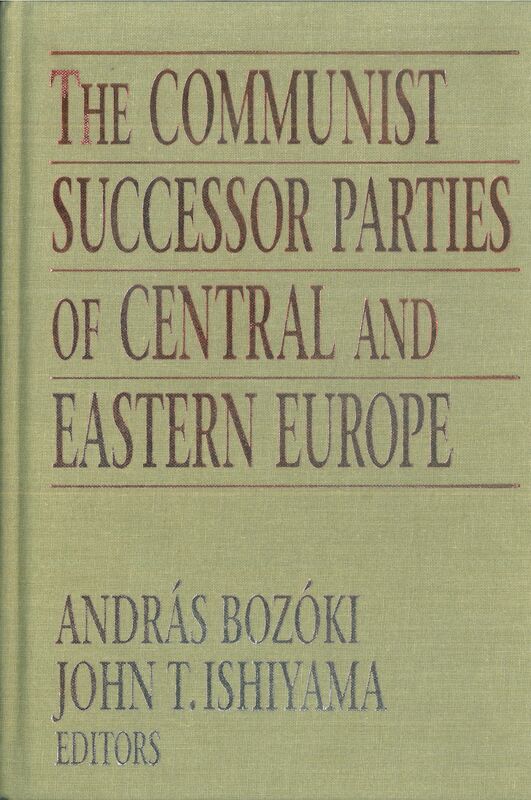 Communist Successor Parties of Central and Eastern Europe. Armonk: M. E. Sharpe; 2002. p. 89-115. Bozóki A. Modernisation and Nationalism : Pathways to Power for ex-Communists in Europe, and the Hungarian Case. In: Sörensen LB, Eliason LC, editors. Fascism, Liberalism, and Social Democracy in Central Europe : Past and Present. Aarhus: Aarhus University Press; 2002. p. 200-47.